Alvis has made a comeback—71 years after the last 4.3L model was built! At the 2010 Goodwood Festival of Speed, Red Triangle Autoservices Ltd., the company started by ex senior staff that since 1967 owns the Alvis car brand and trademarks and has looked after the service needs of owners, announced that they would set up a new Alvis Car Company to build as a continuation series those 77 4.3L models that remained unbuilt in the 1930s. In its day this was the fastest non-supercharged production car and the new models will be built from the original plans but utilize modern technology. High time then to study this book so you know what you’re getting! At different times, Alvis has been different things to different people. Cars, of course, since 1920, but also aero engines and armored vehicles. These three main activities mostly ran sequentially rather than concurrently, which conveniently lends this book thematic structure. 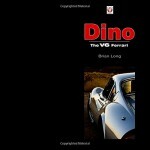 This broad product range will also make the book appealing to a wider audience than just car enthusiasts. The modern-day Alvis Group is even a significant name in the medical optical sector, which is covered here in one of the appendices. Even readers with marine interests will find relevant bits here because company founder Thomas George John (1880–1946) was a brilliant naval architect and engineer. In fact, several key Alvis people had a naval background, and commensurate work ethic, which influenced both the quality of their product as well as business decisions. Motorsports enthusiasts will note another noteworthy Admiralty connection: one S.C.H. Davis, colorful racecar driver, not just on Alvis cars, and surely best known as one of the Bentley Boys. 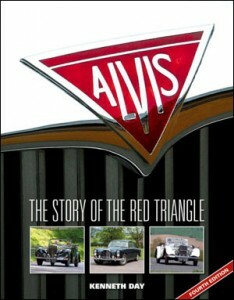 Author Day is President Emeritus of the Alvis Owners Club (AOC) and a respected Alvis historian. He has owned seven Alvises (Alvii?) and driven most of the company’s products. Many Alvis directors, department chiefs, managers, and other staff provided input into the 1st edition. 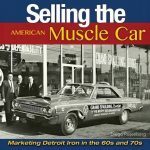 It should be noted that the 2nd edition received an award of distinction from the Society of Automotive Historians. Even if this fourth edition had only been a straight reprint of the previous three it would have been an accomplishment but it is a true revision, adding new text and photos and modifying certain details. It is also completely redesigned. Just to get it out of the way, grafting new onto old has its logistical challenges and so we find here, for instance, photo captions that no longer match the photo; they’re still on the same page so it’s not a catastrophic jumble. Much more importantly, the new text contains contributions by Alvis Chief Engineers Dunn, Probert, and Wickham that provide important insight into various periods of company history. The commentary by Michael Dunn, who also wrote the Foreword and whose father was Chief Engineer before him, is particularly interesting because he later held similar positions in other car companies (including Rolls-Royce; readers with interest in that marque will find food for thought here!) and, looking back on all of them, makes pertinent comparisons. The book begins with biographical notes on founder T.G. John and his pre-Alvis activities. Equally as important as telling the company’s story, Day is eager to finally show the world “TG” as the genius he was. 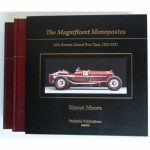 The first half of the book covers the genesis and technical attributes of the cars, along with their racing and record exploits. The second half concentrates in similar detail on radial aero engines (Alvis was the last firm to join the party and made significant contributions) and light armored fighting vehicles (by 2004 Alvis was the largest manufacturer in Europe). 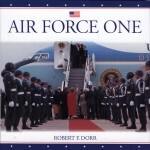 Day conducted many interviews during his research and many excerpts made it into his thorough narrative. Few other books match this one when it comes to photos of the actual manufacturing process, especially the early era. Throughout, most of the photos are from Alvis Ltd. and AOC archives. They are of remarkably good quality, all the car photos are period ones, and there are a satisfying number of detail shots of components as well as technical and general arrangement drawings, cutaways, and a few ads. There are rather too few coachwork and trim photos. 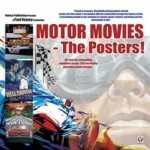 (More may be found in Nick Walker’s Alvis Speed Models In Detail.) Restored cars are shown on two 8-page color sections as is some military gear. 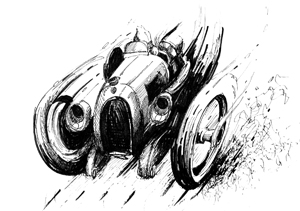 Indicative of Alvis’ close association with the Brooklands circuit is the artwork on the endpapers, a Roy Nockolds painting in the front and a Raymond Groves one in the back. The next item should not be blown out of proportion even if it is extraordinary: the exact same Alvis Stormer is shown twice, once as the original photo (p. 247) and once heavily photoshopped (p. 239) into a totally different landscape. Bad enough that someone saw a need for this but worse to think to get away with it. Absentmindedness? April Fools gag gone wrong? Why?? Eight Appendices contain reams of data and background including production numbers and survivors. 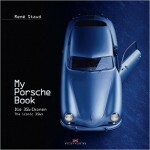 Some 70 pages present 1920–1967 car specs for all models, including price. Readers with coachwork interests will lament the lack of detailed information of which coachbuilders did what. Note that all are listed under “C” in the Index but the indents for sub-subentries are inconsistent, thus confusing.) The Index is sufficiently deep; readers should know that the late AOC Bulletin editor Brian Ledwith was working on a far more detailed “Index and Browsing Aid” to the 3rd edition of this book. After his untimely death his daughter Anya completed the work and self-published a 248-page paperback under the title The Alvis Companion (print: $18.11, electronic download: $8.65).